→ "ברחנו מאריתריאה כדי להציל את חיינו"
"My Jewish identity defines who I am"
Being a social worker at ASSAF, you work with men and women who experienced horrifying tragedies, yet Israeli society usually treats them as “infiltrators” and criminals. How do you cope with this conflict? My Jewish identity defines who I am, and I’ve always believed that helping others in need is part of what being Jewish means. This is what “Or Lagoyim” means for me. I believe that helping others is part of my destiny — that I was created for this purpose. When I lived in North America I had the fantasy that all Jews share these views – I knew that, for example, many public hospitals in poor neighbourhoods were founded by Jews, and that made me proud of being part of the Jewish people. When I made ‘Aliya’ with my husband and older son, and later began working for ASSAF, I thought to myself: “I’m in Israel; I can always go to “Yad-Sara” if I need anything, I can go to the hospital, there are so many different organizations here that can help me”, but reality was very different: every time they would hear that a person is not Jewish, or that he/she comes from Africa, they would refuse to help. 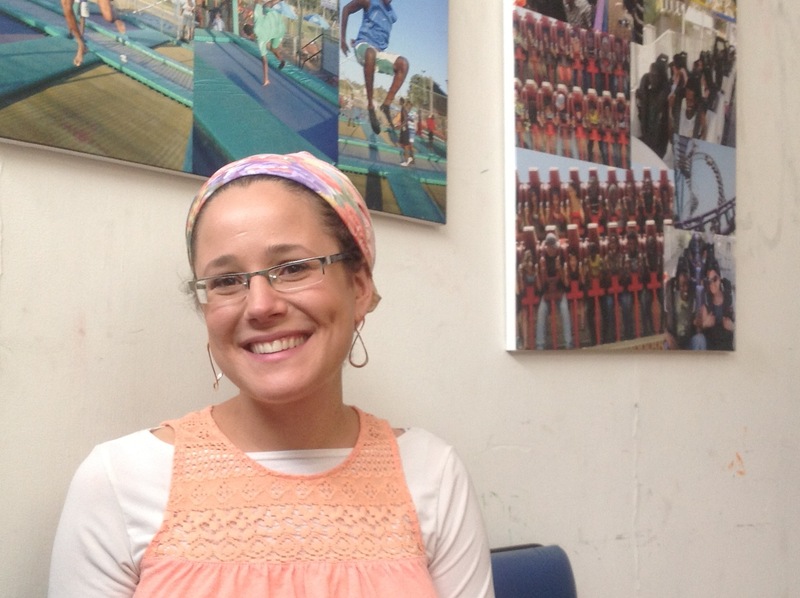 In Israel, asylum seekers do not receive the most basic healthcare. By and large, this community is made of young and strong people, but as in every group, there are some individuals who require medical assistance: either because they were shot before they reached the Israeli border or because they suffered torture that left them disabled or injured. In Israel these people do not receive rehabilitation, shelter, or the very basic assistance they need in order to survive. At one point I realized that I have only one address to go to: the Christian hospitals and the women’s shelter run by messianic Jews. It seemed very bizarre to me that the only person who listened to me and understood that these people needed help was a priest. And he was so welcoming and helpful. On the other hand, when I called someone from a Jewish organization I’ve known for years and asked for help, they wouldn’t even listen to me and just hang up the phone. I had a tremendous difficulty accepting this – that we, Jews, who are supposed to accept the foreigners amongst us, are turning our backs to them. These are vulnerable and injured people, and the only ones who care for them are Christians. And I ask – what about our own duties as Jews? You are part of a religious community; how did your community react to your work with asylum seekers? In the Jewish community everyone knows about “infiltrators” and people are afraid of the “demographic threat”, which is a very powerful threat for them. But when I start discussing concrete numbers, people understand that this is not a true demographic threat. Their negative reactions don’t result from evilness, but from mere fear of what is unfamiliar and different from them. One of the most important commandments in the Torah is helping the foreigners among us, and loving them, and when one talks to religious people one discovers this is indeed very important to them. The Torah also determines that as religious people we must help the weak and unfortunate amongst us, and it also tells us that the foreigner (‘Ger’) is also the weak. Familiarizing ourselves with what the Torah has to say about helping foreigners is important, because it not only helps us depart from our defensive and inclusive disposition, but also provides us with practical alternatives of appropriate actions. I feel that as the years went by I was able to explain more and more on the conditions of asylum seekers in Israel, and also relate their situation to the fortune of the Jewish people, who were refugees themselves for so many years. Now that we have a state of our own, this is the place where we must correct the wrongs that were done to us, and give other refugees shelter and help. One fruitful outcome of my efforts to explain the refugees’ complex situation to others in my community was that a neighbor of mine, a religious woman, invited me to come to her school and tell the students about my work. Several others in the community made monetary donations. This is always very heartwarming and encouraging. In the past year men and women who are victims of human trafficking were released from the Saharonim detention center and referred to ASSAF for further assistance. How did this affect your work? Recently the Israeli court referred to us people who were recognized as victims of human trafficking, and who are currently waiting for a spot in a shelter. All of them are eligible, by law, for a year of rehabilitation in the shelter, but many of them end up having to wait for quite a long time. During this time, they come to us for help. I wish I could treat each and every one of them individually, but I can’t (we currently care for 33 victims, and my position is only part-time), and so I founded a rehabilitative support group for these women. This group allows me to care for them as a group, and allows them to communicate with one another and learn from one another. Tremendously difficult experiences are shared in this group: last week one of the women told us that she was held in Sinai for six months with her hands and feet tied and her eyes covered. She did not see anything, and did not know whether it was night or day. During the whole time she was raped over and over by her captors. She told us that she was whispering to another woman captive who was tied next to her, and that after a few weeks the two discovered some electric wires on the floor not far away from them. She cried while telling us how, throughout the entire six months, what kept her alive was the fantasy that she could reach those wires, wrap them around her own throat, and kill herself. It is clear that a trauma like this one is incurable. The only thing we can try to do is ease the pain a little bit. But we already see that because these women do not receive proper care, their condition deteriorates. They have immense debts to their families and entire communities, who sold everything they owned and are now living in tents just so that these women can be released. Their physical captivity was thus replaced by their enslavement to debts. We could have eased the misery of these women – by giving them safe shelter and better conditions. At ASSAF we accompany these women; we ‘swim’ with them within the vast sea that threatens to drown them, but we do not always succeed. There are some moment of enjoyment, when we take a day trip, or have a dance class together, and then I get to see these women, for a split of a second forgetting the terrible horrors they have been through. These moments give me hope and strength to go on. פינגבק: Israel ill-treat African Refugees? | The Nigerian Eye Newspaper: Breaking news in Nigeria as well as Nigerian News, ghana news, information and opinion on sports, business, politics and more from Nigeria's most read newspaper.